Well? Pretty clear tweet on your options for experiencing Xenoblade Chronicles 2: Torna ~ The Golden Country. You don't have to own Xenoblade Chronicles 2 to still experience the DLC as a separate title. (It's unclear to me why you'd want to, though, but it's an interesting option.) That's pretty rare among downloadable content, and that not being the industry standard is a source of confusion for many customers. As for the video? I don't know how well it covers the game's particulars due to not having first-claw knowledge of the DLC contents, but it goes over some gameplay and story stuff without spoiling things. It discusses acquisition at the end. 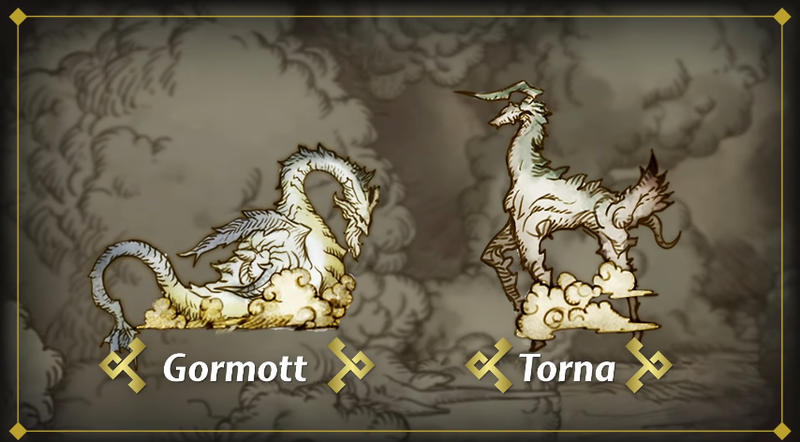 Apparently the Titan on the left is Torna, and the Titan on the right is Gormott. Nintendo mixed them up in their video. I suppose getting the game's critical lore wrong in your video meant to get people hyped up about the game's lore is a sad state of affairs. Does it ruin the entire video? I think not, but I'm sure some Torna or Gormott nationalists are horribly offended. One more note about playable DLC without the main game — they should do that for Splatoon 2's Octo Expansion. Even Splatoon disser Rawk said he'd be interested in that, and the experiences are different enough where someone who doesn't own the multiplayer-focused Splatoon 2 might be interested in the single-player-story-focused Octo Expansion. Maybe the Torna DLC will start a whole new trend of separately-purchasable story DLC. I don't know why it embarked on that path to begin with, but it's only a good, pro-consumer thing, right? Ludwig isn't sure if this article is more about Rawk or more about Xenoblade Chronicles 2: Torna ~ The Golden Country. You can let him know your thoughts on that, and anything else that came to your mind after reading this article, in this article's comments section. Rawk has previously discussed Xenoblade Chronicles 2 for a paragraph and a picture in this article. That doesn't count as writing about the game for a whole article, however. Making Torna standalone is an interesting idea--provide a smaller Xenoblade experience for people who want to try out the series without committing to a massive game--but I'm not sure how well the story would hold up (in terms of whether the player would understand it) without the larger context of Xenoblade Chronicles 2.